Yes, yes, a thousand times YES!!! Weeping like Wonder Woman at patriarchal sexism…although I often scream with rage like Xena too…all while eating delectable vegan chocolate. Yeah, that pretty much sums up this feminist vegan. 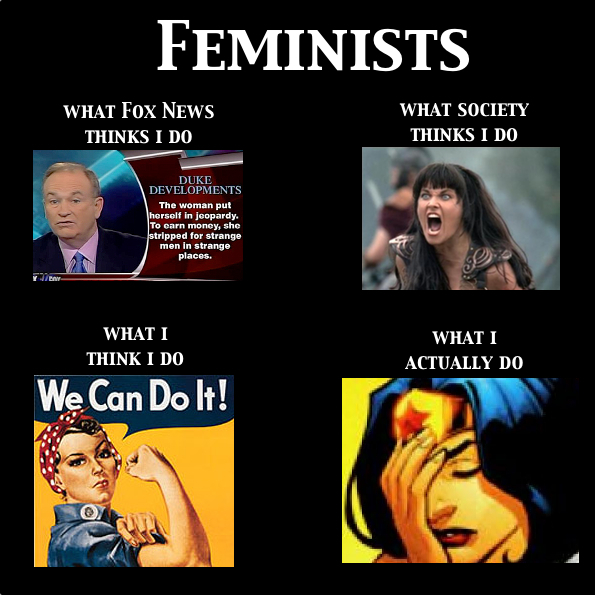 Tags: feminism, feminist, vegan, Veganism, What People Think I Do meme. Bookmark the permalink. I tried a vegan diet and I was suprised how nice it was! It’s a bit difficult and expensive, but I felt pretty healthy! Unfortunately I really can’t keep up, I need my milk, cheese and eggs. But respect for all the vegans out there! 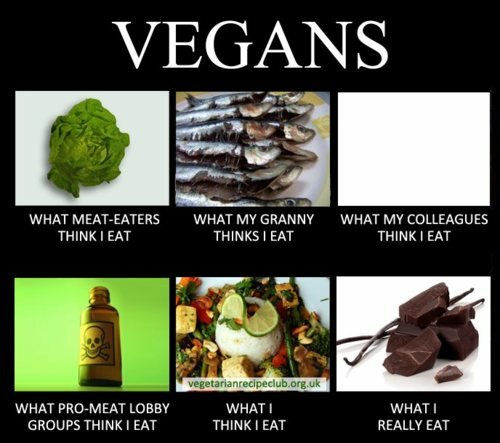 Love that vegan poster — so true. Did you make it? I love it too! No, I wish I had! A friend of mine sent it to me via Twitter so I have no idea who created it.